I was having trouble doing something very simple today, and learned an easy fix for it. 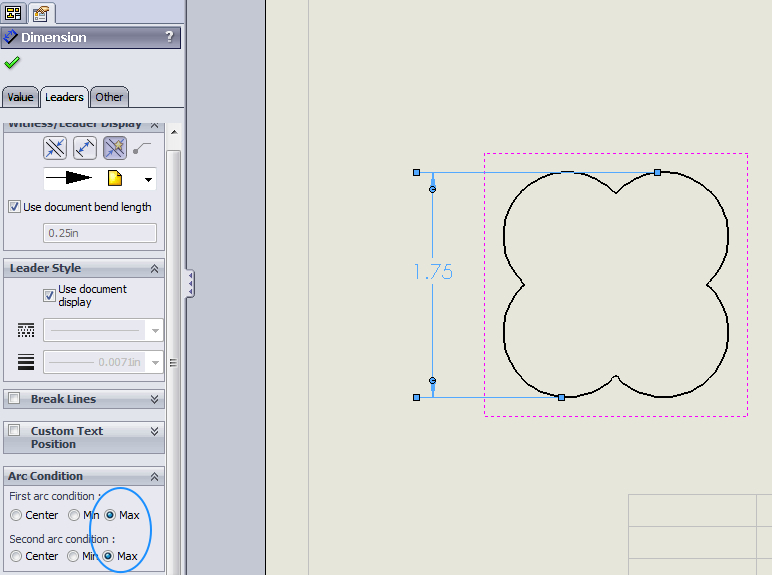 In SolidWorks when making a drawing of your 3D CAD model, the default ‘Smart Dimension’ gives the dimension between the centers of two arcs, which is typically what you want. But what if you want to dimension between the edges of the two arcs themselves? In this drawing, if I choose ‘Smart Dimension’, it will grab the centers of the two arcs and give me the .75 dimension. To get the actual edges, first create the dimension the same way as above, letting the ‘Smart Dimension’ get the centers for you. Then click on the dimension again to bring up the “Dimension Property Manager” menu on the left. Click on the “Leaders” tab, and scroll to the bottom. Under the “Arc Condition” header, choose “Max” and “Max”. 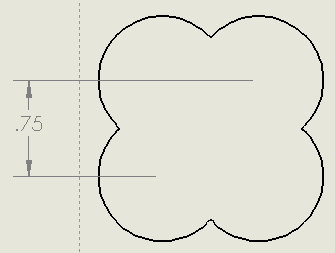 Now it will give you the distance between the edges of the two arcs. Simple, but hard to find if you don’t know where to look. Hope you found it useful! 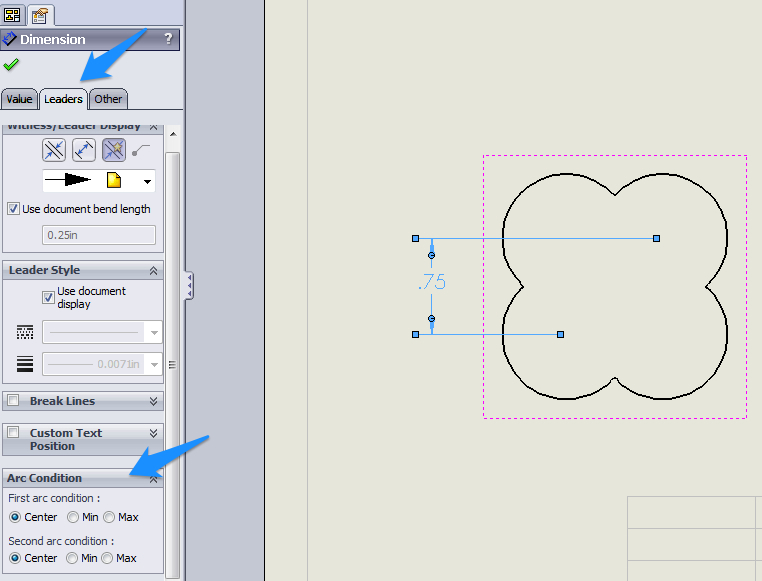 Credit for this info comes from this article in the SolidWorks help documentation.